Non-marring nylon sleeved ball bearings. 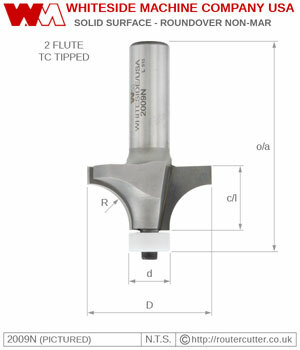 Whiteside roundover router bits provide a quarter-round (radius) edge to your workpiece and are the most popular type of edge forming router bit. The non-marring nylon sleeve is great for bearing guided routing in dense material without leaving any scratches or rubbing.